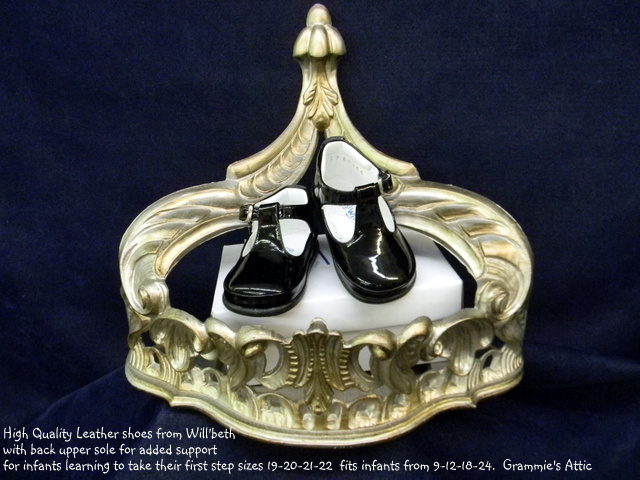 Made by Will'Beth, well known for their heirloom quality baby clothing, these high quality patent leather T-strap shoes have an extended back sole, rubber, no-slip bottom sole, and padded arch support. 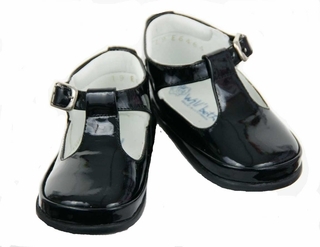 Beautifully designed for first walking shoes and so stylish, too! These shoes will look perfect with all your baby girls ensembles, whether dressy or casual.